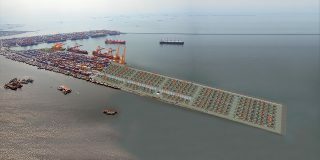 International Container Terminal Services, Inc. (ICTSI) has received a nod from the Philippine Ports Authority (PPA) to further expand its Manila flagship terminal. Furthermore, complementing the capacity improvements are the upcoming arrivals of 16 new rubber-tired gantries (RTG) in 2019, with the first eight RTGs available by April next year. At the quay, two more super post Panamax quay cranes are expected to be delivered by next year.